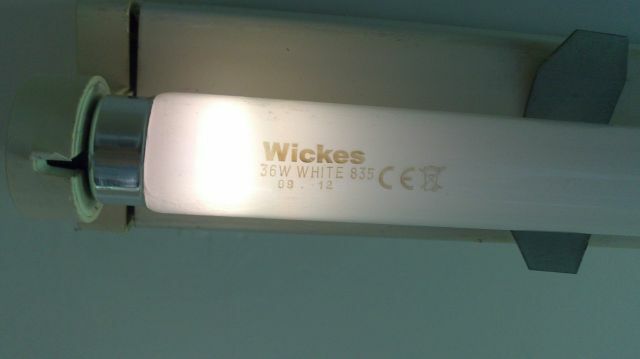 This is the bulb under the diffuser in the shared house kitchen. From my other pics. Not much blacking at all. It looks like T8, not T12. Interesting brand, never heard of it before. This is a T8, not a T12.